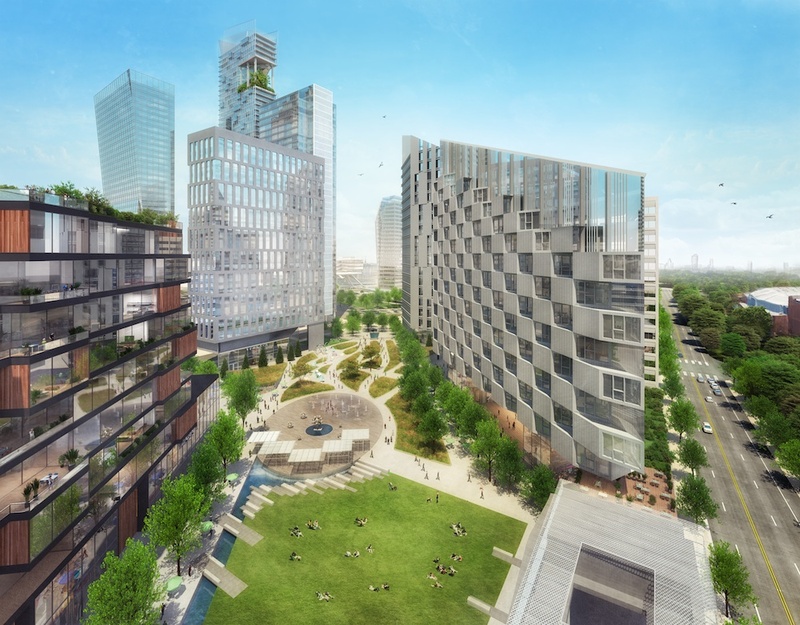 The private nonprofit Central Atlanta Progress (CAP) is raising $1 million for a detailed engineering study for “The Stitch,” a 3/4-mile-long platform and park that would be installed over the congested Downtown Connector highway that runs through Atlanta. 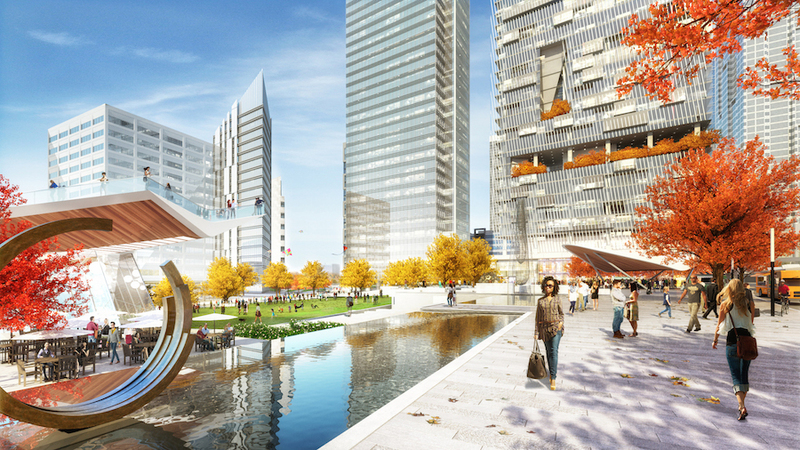 According to Atlanta Magazine, CAP already paid $100,000 to the Pasadena, California-based engineering firm Jacobs for an 114-page-long concept plan (whose images are seen here). The Downtown Connector, also known as Interstate 75/85, split Atlanta’s downtown and midtown apart when it opened in 1952. The stretch was named among the country’s worst traffic choke points by Forbes. 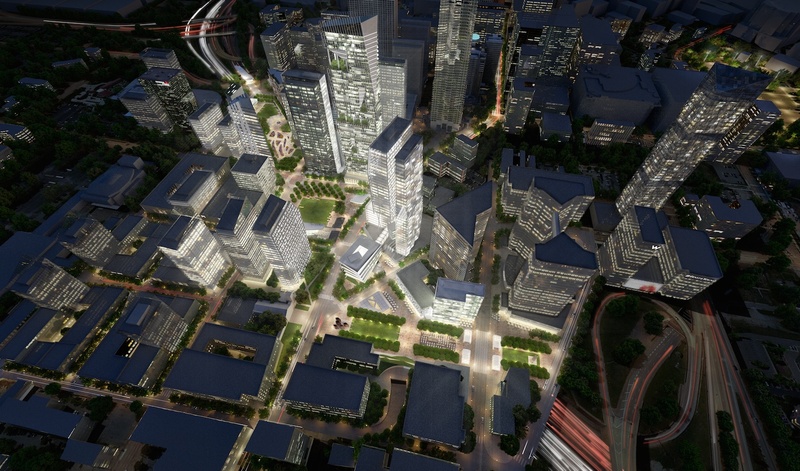 The capped area would extend from the Civic Center MARTA station to Piedmont Avenue. The Stitch would reclaim that area; the current proposal includes three mixed use “character zones” with a variety of programs. 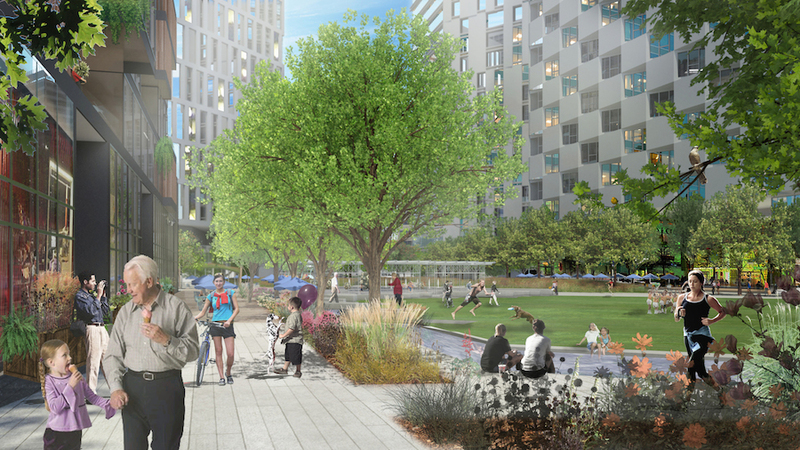 The first, “Emory Square,” would be an urban plaza atop a reimagined MARTA station. The Civic Center bus and train terminal would become the Emory Square station, the centerpiece of a public park. 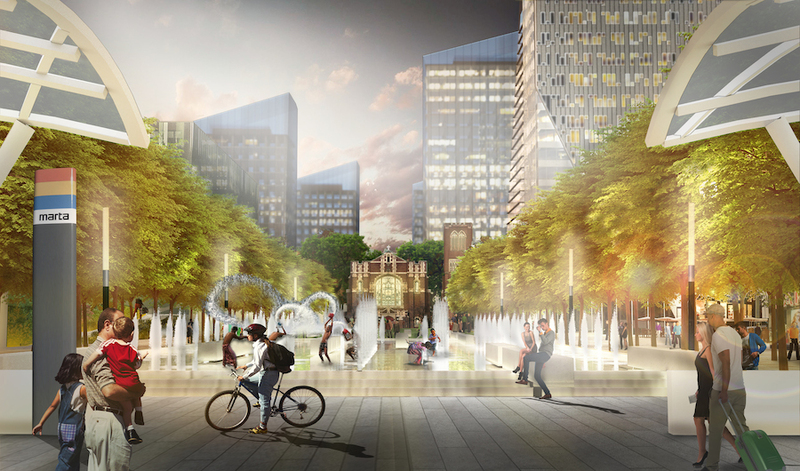 “Peachtree Green,” at Peachtree Street and Ralph McGill Boulevard, would become a three-acre park with water features, a restaurant, a pavilion, and a memorial. Finally “Energy Park” would be a mixed-use residential development located next to Georgia Power’s headquarters. 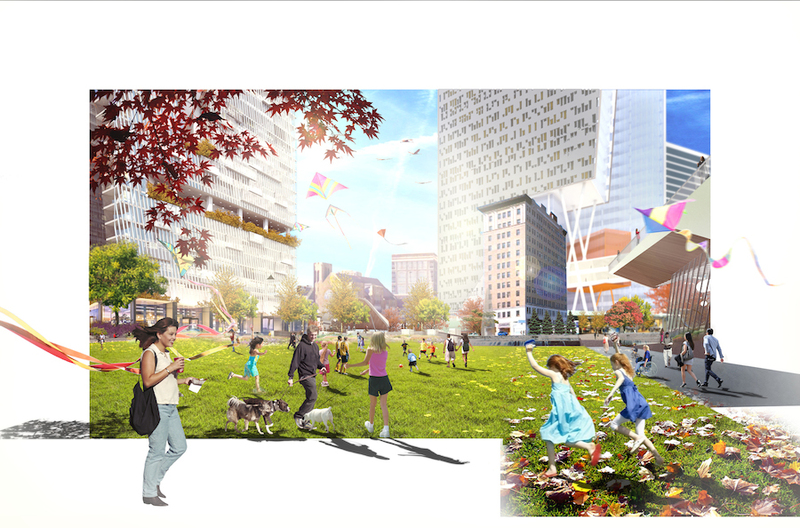 Energy Park would include lawns, a dog park, a playground, water features, and a pavilion. Other cities, including New York, Toronto, and Philadelphia, also have plans for development on capped rail yards. Additionally, the city of Atlanta is working on the BeltLine, a project to convert the city’s old rail corridor into 33 miles of multi-use trails. Four trail segments and six parks are already open, as is affordable housing along the corridor. The Stitch is still in the conceptual phase; a construction schedule and concrete budget have not yet been determined. CAP estimates a $300 million price tag for the project based on recent similar capping projects.